May has seen a slight slowdown in sales activity compared to our high-season months. But prices and activity are still comparatively strong for this time of year. We expect that the number of sales will drop as we head into the summer months, and that median home prices will level off, or possibly even drop slightly. CAVEAT: The median price drop will not occur due to values dropping, but because not as many pricier waterfront homes will be sold during the warmer months. The homes sold from now until later in the year will be mostly off-water homes to locals and investors. Waterfront buyers generally come down for the winter months to vacation and to buy their vacation or permanent homes during that visit. This does not mean there won't be any waterfront sales. To the contrary, we expect waterfront sales to be stronger than each of the past several spring/summer seasons. 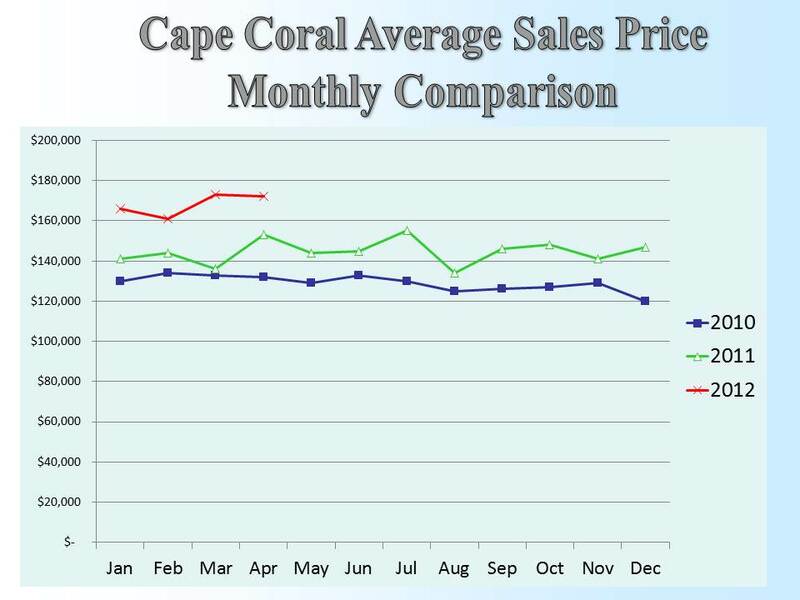 We would be surprised if waterfront prices dropped at all during our "slow season". There just isn't enough inventory to justify a price drop. A shortage of well-located gulf access homes is prompting more and more new construction in the prime areas, which in turn means more lots are being sold. 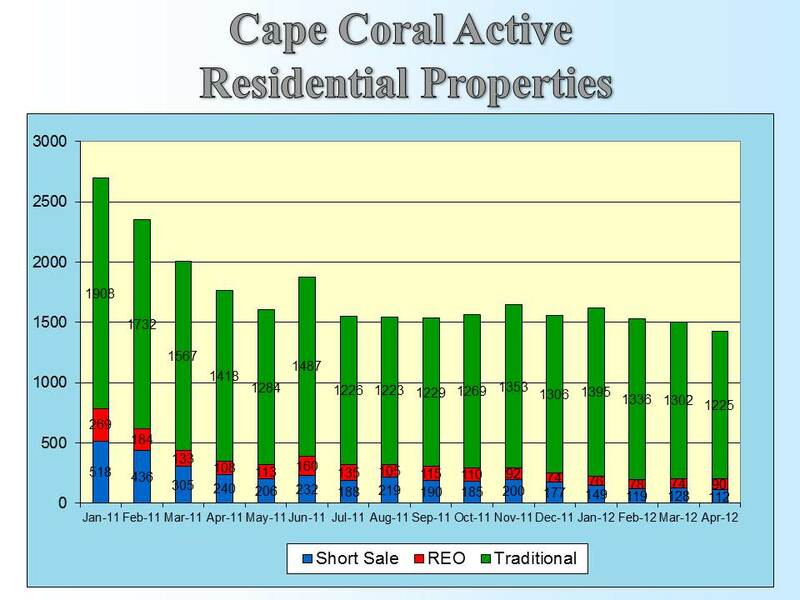 This dwindling supply of desirable gulf access lots has caused a noticeable spike in prices, even from month to month. FEAR & GREED: These are the two psychological motivators for most real estate investment purchases (and sales). We are sad to say that greed was involved when we owned numerous gulf-access lots during the peak, and didn't sell for a very high profit when all statistical data indicated that we had reached the peak of the market. Fear kept us from using the same data available to buy gulf access lots when it was obvious we had passed the bottom of the gulf-access lot market. Nine months ago we detected that gulf access lots were being bought and new homes built-on them, and inventory was dropping, so naturally prices were escalating. We only bought one gulf access lot and several remodel homes. Although we will still make a decent profit on the remodel homes, we would have earned much more from the lot purchases . . . without the time-consuming effort required in remodeling. We believe there is still much upside potential in gulf-access lots, especially in the SW quadrant of the Cape. In a few years, as the SW lots are scarce and prices become exorbitantly high, we expect the NW will become the new SW. Public water and sewer utilities are in the planning stages for sections of the NW, along with the widening of Burnt Store Road, further enhancing our optimism about the future of the NW quadrant. Yes, we are looking to buy another gulf-access lot or two as soon as we sell some of our other properties. Below are tidbits of some recent real estate related articles and local sales data. Is Housing As Cheap As It'll Ever Get? WASHINGTON - May 4,2012 - Homeowners who want a bargain may want to act now because the housing market is in the midst of a turnaround, according to economists. Home prices have fallen and mortgage rates are hovering near record lows, pushing home affordability for the average family to record highs. Meanwhile, rents are on rise, making owning a home cheaper than renting in most areas of the country, according to recent surveys. But the housing deals aren't expected to stick around much longer. Buyers may want to act more quickly because mortgage rates are expected to tick up slightly by the end of the year. March 29, 2012 - Sales of investment and vacation homes jumped in 2011, with the combined market share rising to the highest level since 2005, according to the National Association of Realtors (NAR). 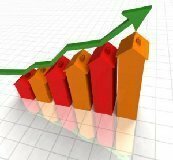 NAR's 2012 Investment and Vacation Home Buyers Survey shows investment-home sales surged 64.5% last year from 2010. Vacation-home sales rose 7 % in 2011. Owner-occupied purchases fell 15.5 %. 44% of investment properties were in the South, 23% in the West, 17% in the Midwest, and 15% in the Northeast. Nearly half of investment buyers said they were likely to purchase another property within two years, as did one-third of vacation-home buyers. Tom: Inventory continues to drop, especially on distressed homes (REO's and short sales). This is the lowest home inventory in several years. For about two years we have heard about "shadow inventory" that will be coming on the market. It is my contention that the majority of distressed properties have already hit our local market, and that if another 1,000 or so distressed homes were to come on the Lee County market, investors would gobble them up very quickly. * 2012 Annual Survey of 650 CEO's finds Florida is the 2nd best state in the U.S. for business. In 2011 Florida was ranked 3rd. Tom: HOA regulations, tough bank requirements and other factors are why we are not currently gun-ho on condos as investments. However, most waterfront condo complexes are not experiencing the same difficulties as are lower end developments. * Two Naples mansions recently sold for $47.3 M and $42 M. The $47.3 M sale was the most expensive home ever sold in Naples. Multi-millionaires and billionaires are pulling money out of the stock market and putting more into real estate. Tom: YOWZA. Naples is great, and we are glad that we live close by. But we would not want to be paying the mortgage or property taxes on these homes. On average, Naples is priced 250% higher than Cape Coral/Fort Myers for comparable homes.